If you’ve ever wondered why you keep seeing a certain hashtag, story, or video on your social media feeds, then you need might want help tracking online trends. You can start with a simple online search or you can try any of the following online trend tracking tools. Google Trends displays how popular a search term is anywhere around the world. Users can also compare the popularity of different terms, obtain trend forecasts, and export data. Hashtagify.me finds related hashtags, a ranking of influencers behind a hashtag, and the history of a hashtag’s popularity. NewsWhip ranks online stories according to how fast they are shared across social media and how much online engagement those stories generate. Each story listing features a sidebar displaying how many times a story was shared on Facebook and Twitter along with related stories. 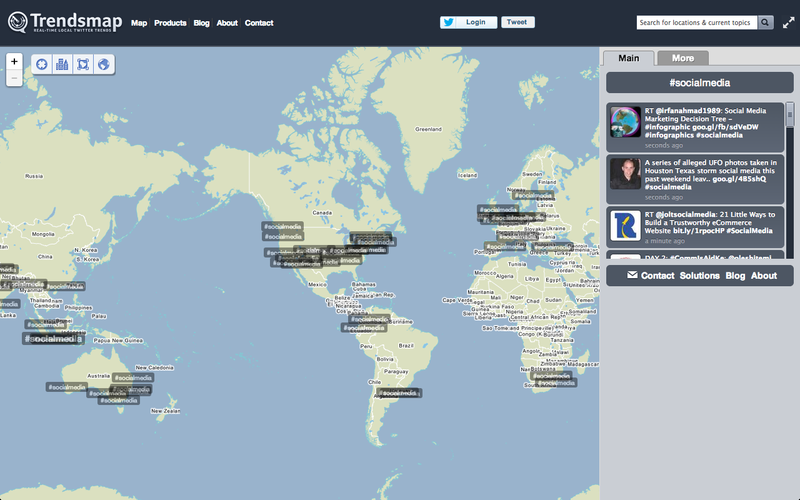 TagDef gives users the meaning of trending hashtags and a list of related hashtags. If you plan on starting a hashtag, you can catalog and define it here. 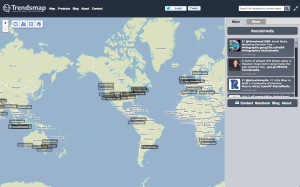 Trendsmap visually displays what hashtags and terms are popular in different regions across the globe. Clicking on a hashtag or term brings up its most recent 7-day history, related tweets, links, and photos. Trendsmap operates under a freemium model, meaning that additional features are available for a fee. Viral Video Chart displays the most popular online videos according to how many times they were shared. Selecting a video will bring up such information as how many times a video was shared, how many times it was shared on social media, sharing history, and more. YouTube Trends Dashboard provides information how the most popularly shared or viewed YouTube videos. Search results can be refined according to geographic location and viewer age and gender. The listed resources are just a start but helpful for providing context to what you’re seeing online. Use the listed resources to understand your online audience better, find inspiration for your blog, or just to stay informed. And if you have any online tool you like that isn’t listed here, add it to the comments below.